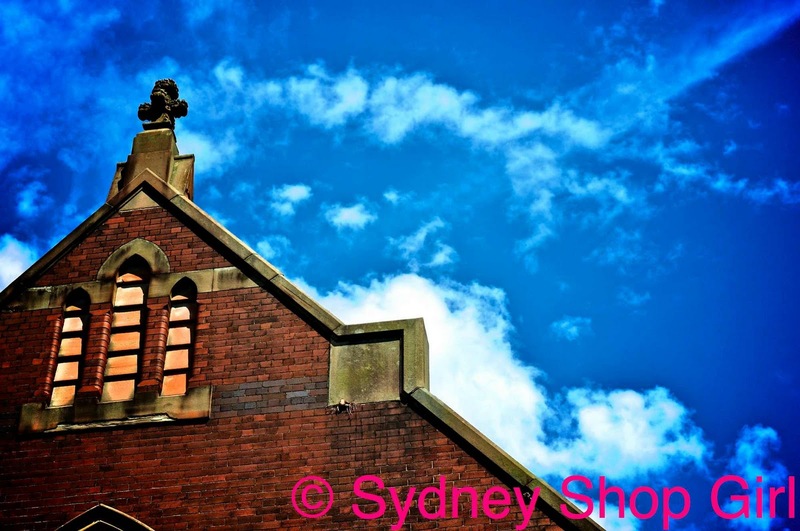 Sydney Shop Girl: Rookie Errors @ the Outnet Family and Friends Sale. Rookie Errors @ the Outnet Family and Friends Sale. If I may be frank with you, I consider myself a savvy online shopper. Exchange rates, currency conversion fees, customs limits, having a good relationship with the DHL and Australia Post dudes - the planets usually align for me in the online retail world. The OutNet Family and Friends Sale was scheduled to start at 10 am, GMT on Friday November 12. My reading of the save the date email was that 'everything on the site would be on sale and that if I was logged in at the right time, the sale prices and items would automatically appear'. I had a great strategy worked out. 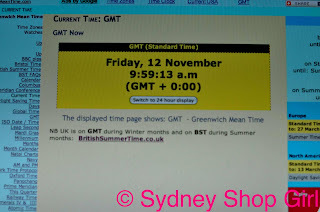 I found a Greenwich Mean Time counter on my laptop and had it open in one window while I browsed the OutNet and started filling my shopping bag (with Pucci and Missoni print dresses). Those of you who know the sale will know how wrong I was. 10am ticked by on my counter - and nothing happened to my shopping bag on the Outnet. Nothing changed on the whole website. So I waited. 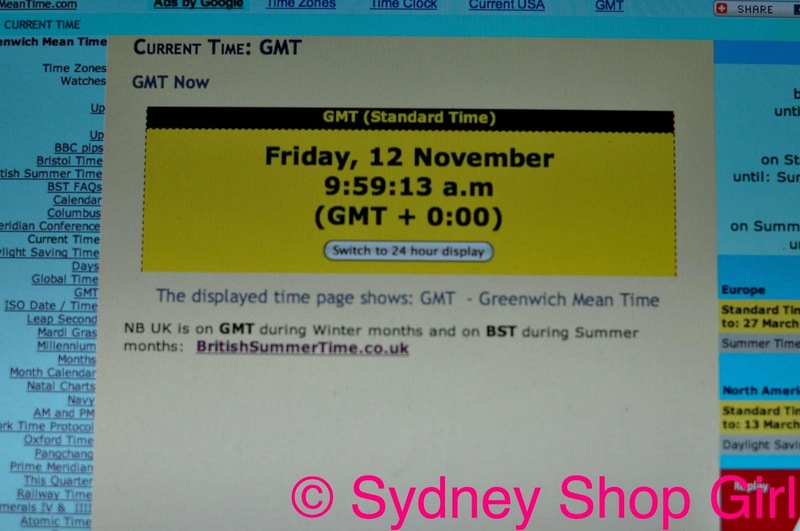 Perhaps there's daylight saving with GMT? To cut a long story short, my email invitation went to my spam. In the time it took me to figure this out (less than an hour), there wasn't much left in the sale range. Perhaps just as well - I'm going to Singapore in a fortnight. Must. Stay. Focussed. It was a balmy this morning in Sydney. We were all out like lizards in the sun. Sundresses, shorts, t-shirts and thongs. It felt good to have sun on our necks and the heat on our arms. It was the perfect day to visit the Rozelle Markets on Darling Street. I've been meaning to go for years but have never quite made it. Despite driving past every Saturday on my way to yoga. 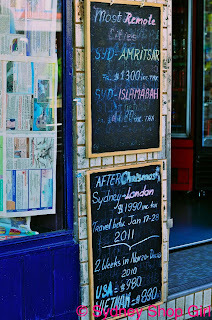 I think these messages on the blackboards are advertising flights. As seen at the entrance of the tobacco store near m y bus stop. Holidays and the seaside seemed to be on everyone's minds. The 'stop' button just above my seat on the bus was decorated by a lovelorn seahorse. 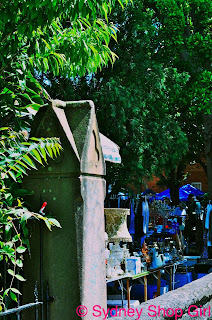 The markets were an eclectic mix of fashion, homewares, art and books. It felt a little invasive to take photos of individual stalls. 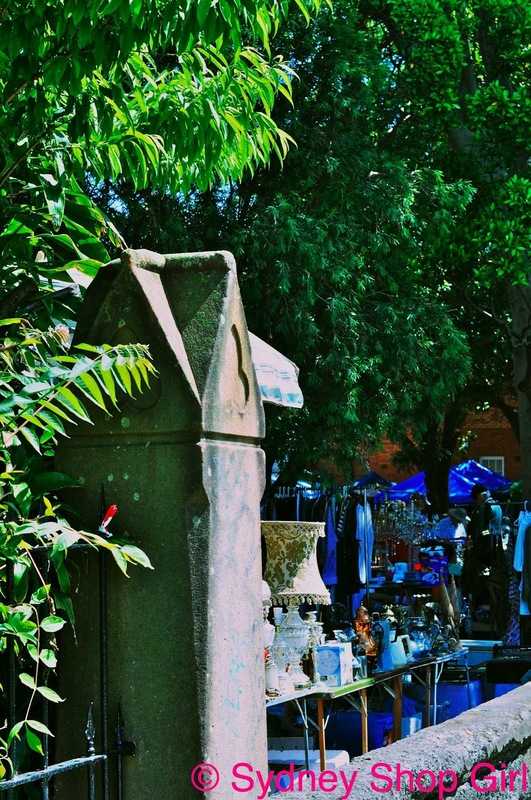 There was a great sense of the personality of the stall holder at each stall that I walked past. Oh dear. I always think that these things work out for the best in the end! 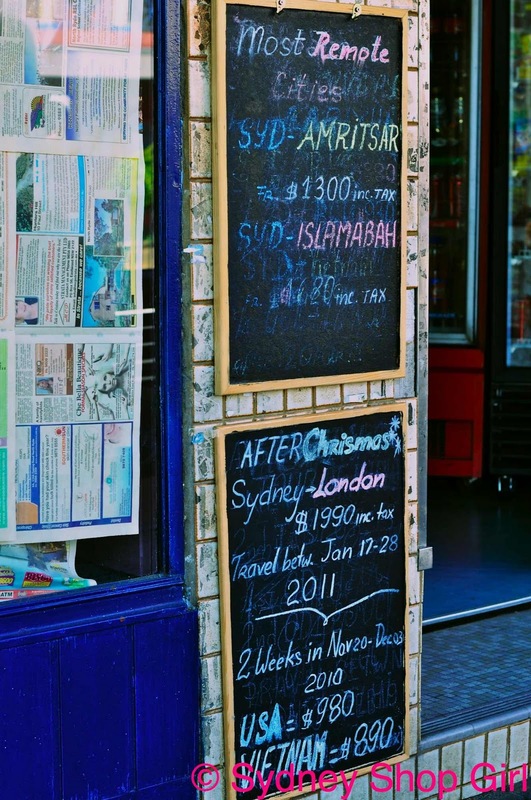 And your money will be better spent in Singapore, no doubt! 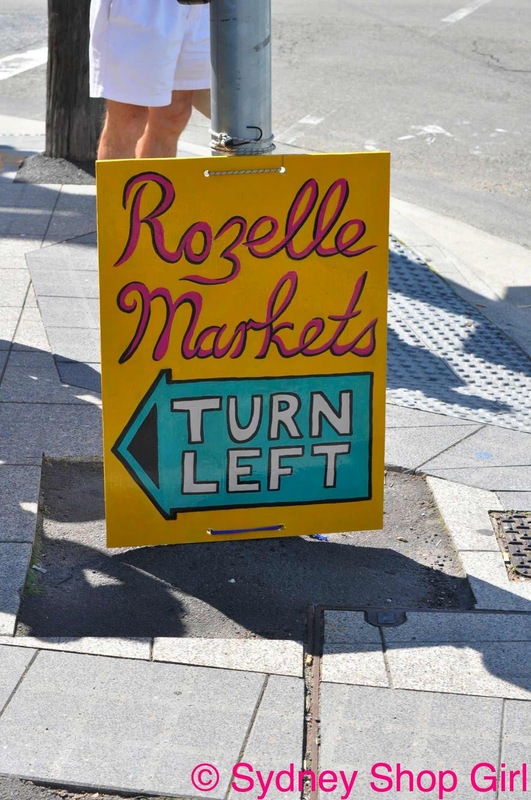 I like the Rozelle Markets, although I am gearing up for the North Sydney Gourmet markets next weekend. So excited!